big roll high carbon steel wire is best materails for mattress inner springs production. 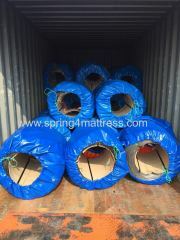 it suitable for bonnell spring, pocket spring, continuous springs, etc. easy carry, low cost and quick install.